The new Independent Press Standards Organisation will launch a month late, with those involved in setting it up saying they "feel it sensible to allow more time". 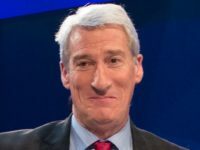 The chair of the independent panel tasking with hiring IPSO's chair and board members said there had been "considerable interest" and a large number of high-quality applications" had been received. Sir Hayden Phillips said the panel was on track to appoint the chair by the beginning of May. In a statement today, he said: "Once appointed, the chair will join my Appointments Panel to select the rest of the Board, with a view to having IPSO up and running in early June. "This is a little later than the May 1st start date originally envisaged but because of the large number of applications we now feel it sensible to allow ourselves more time. "While it is important for IPSO to be operational as soon as possible, our view is that what matters most is to get the process right for these important roles." Most major UK newspaper and magazine publishers have signed up to the new IPSO press regulator which locks members into binding contracts and has the power to levy £1m fines. 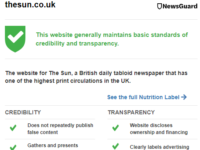 But the Lebedev-owned titles (Independent and Evening Standard), Guardian News and Media (GNM) and the Financial Times have all refused to sign up to IPSO. They fear that it will not be sufficiently independent from the industry. The Independent and GNM have told Press Gazette that the choice of chairman for the new regulator will be key. The IPSO chair was advertised with a salary of £150,000. The board will be made up of seven independent directors, coming from outside the industry. Phillips' selection panel includes Lord Brown of Eaton-under-Heywood, Dame Denise Platt, Paul Horrocks and John Witherow. The five-person panel must have unanimous agreement for any appointment to be agreed.